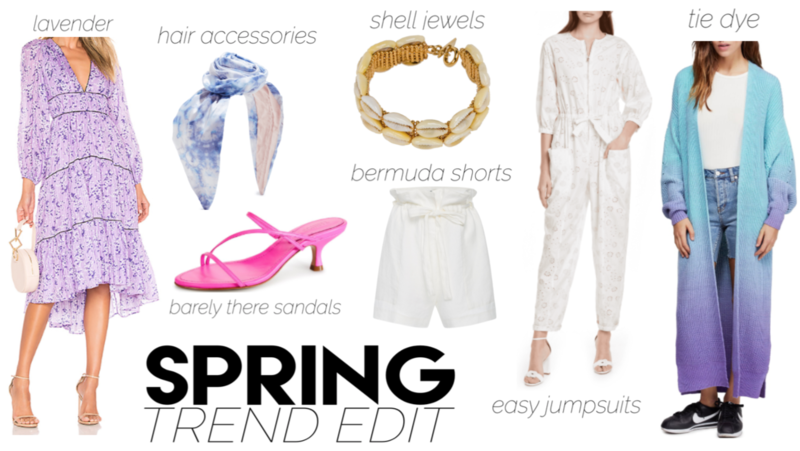 Sharing my favorite Spring trends with Shopbop today! They are having their big sale event (use the code EVENT19) so I had to share some of my favorite picks. Lavender, Tie Dye, Shell Jewels, Barely there Sandals, and hair accessories are all majorly trending right now so here is my edit of the very best. Happy Shopping!